Coast through your Indian themed bridal shower or wedding day planning with our Personalized Indian Jewel Glass Coaster Favors. 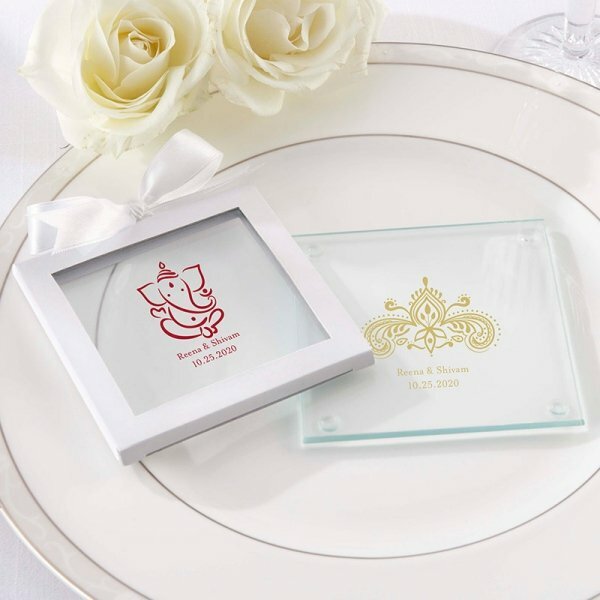 The elephant and henna medallion designs are sure to set the tone of the day. 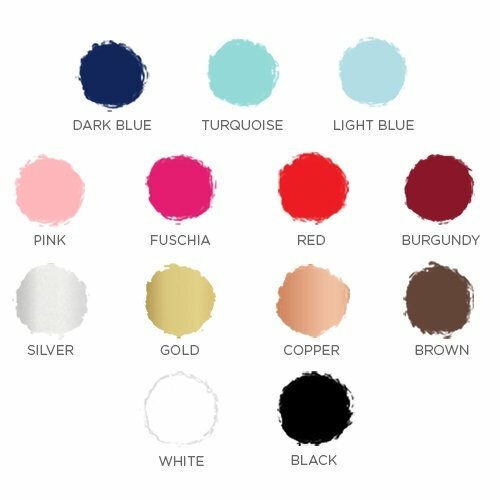 We also include your own custom details for a special touch. Each glass coaster features padded feet for surface protection. Sold in a set of 12 coasters. Optional window gift box available for an extra fee. Hi, if I want 120 total coasters how many do I need to order do I order them as set’s or do I put the each number? 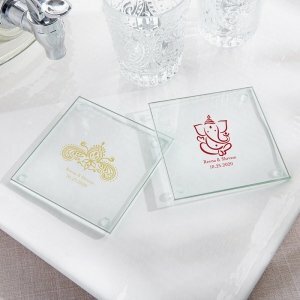 These Personalized Indian Jewel Glass Coaster Favors are sold in sets of 12 so if you need 120 pieces, you need to order 10 sets. I need 340 Personalized Indian Jewel Glass Coaster Favors, wanted to do them in sets of 2 and ribbon them. Which would make me 170 sets of 2. 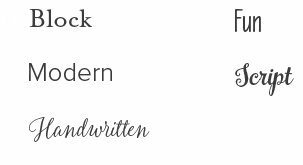 I'm sorry, we are not able to package our items differently than what is described on our site since they ship directly from the manufacturer.